Mark your calendar for a spectacular evening! 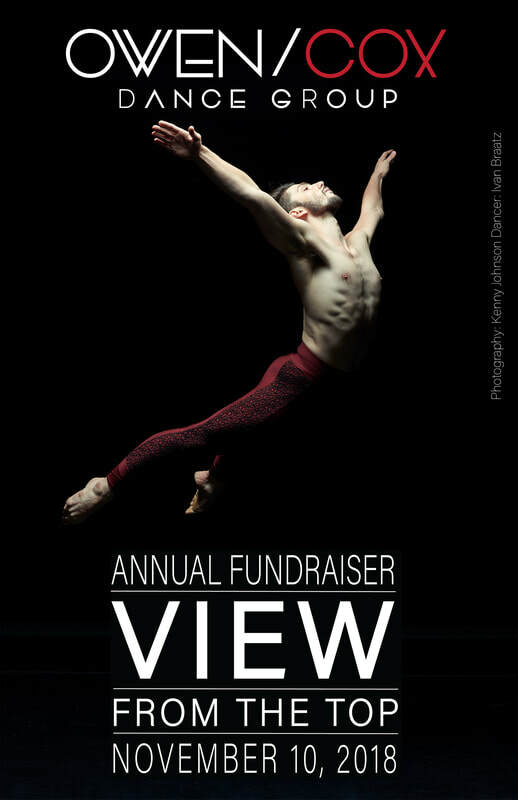 On Saturday, November 10th from 7:00-9:30pm, join Owen/Cox Dance Group for a beautiful evening with the most breath-taking view of Kansas City. Enjoy wines, a signature Owen/Cox cocktail and decadent food with live music in the exquisite home of Pat McCormick and Barry Eisenhart. This home offers truly the most breath-taking views of Kansas City! A live art auction will feature amazing art pieces and a silent auction will offer some of Kansas City's finest goods and services. Remember to purchase your tickets today and we will see you for one memorable evening!